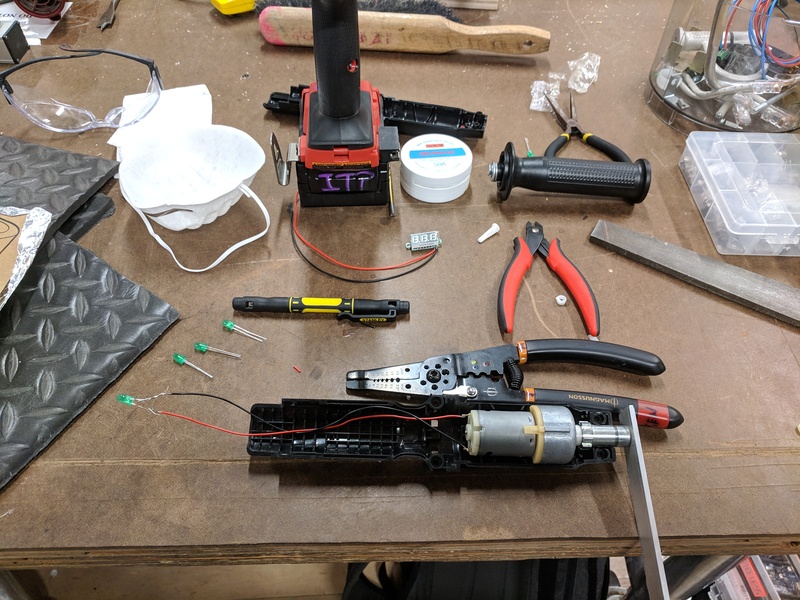 The inspiration for this project came from another project I did a while ago, on a different continent, with far less electronics understanding than I have now. In short, I needed to light up and make “interactive” a sign, with no access to wall power. The result was A Hand Cranked LED Sign. That project started me thinking about different sources of energy, and how we so easily take for granted electricity that comes out of our walls. I have thus been thinking about sustainability in Interactive Media for a while, and this week’s assignment was a wonderful catalyst to get started experimenting. 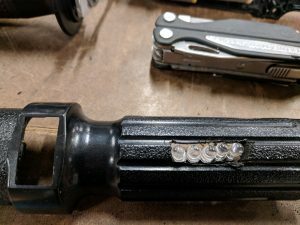 My goal is to create a flashlight that is both portable and powered completely by the user. 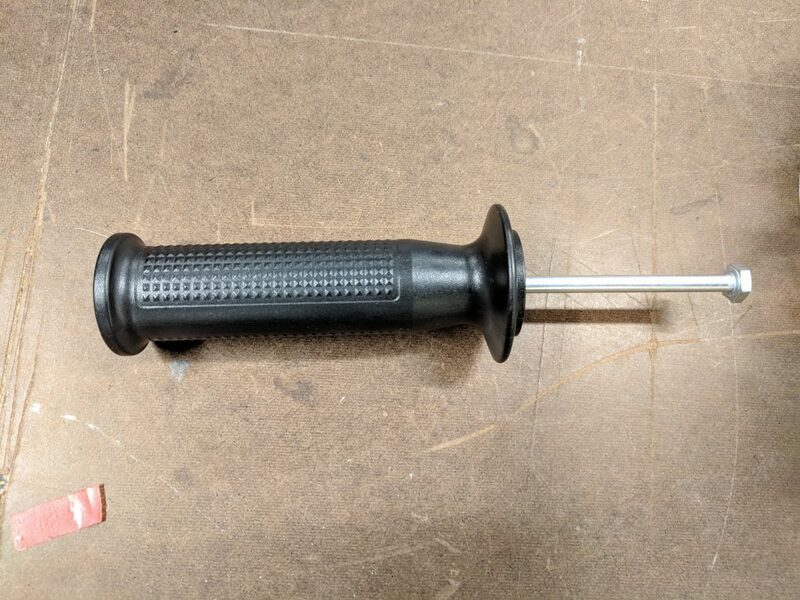 A broken screwdriver I found in the junk shelf, along with the driver I used to take it apart. Finding the broken electric screwdriver was the push that I needed to jump straight in and get started. 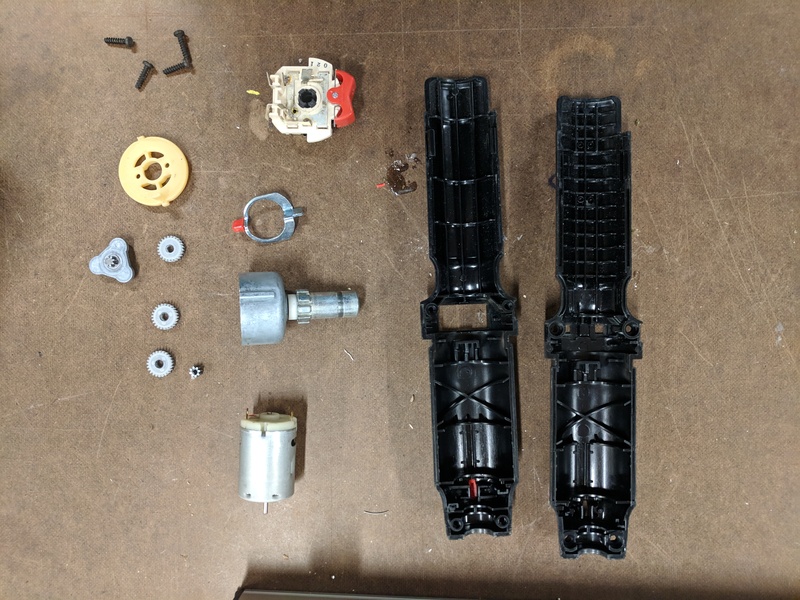 The first thing to do was take it apart and see if it was even possible to reverse-engineer. Safety First: Make sure to read the warning labels BEFORE ignoring them. 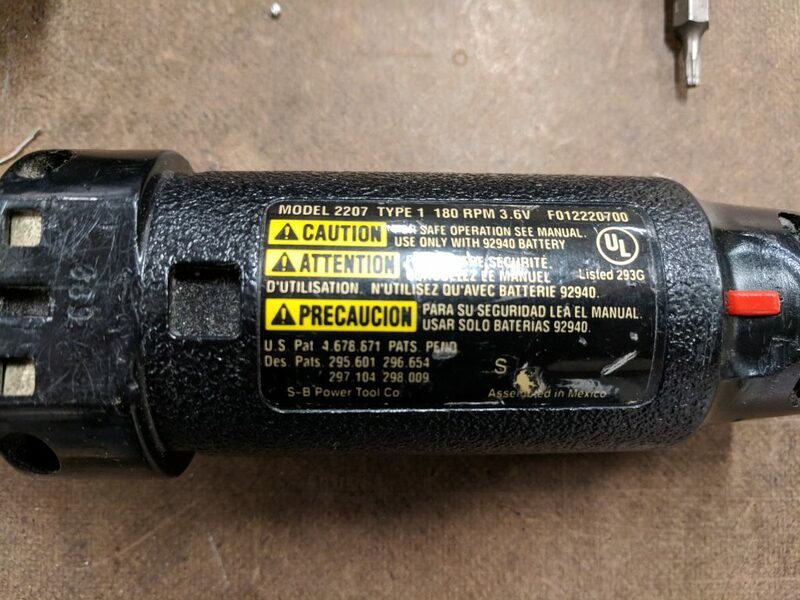 At 3.6V the geared motor inside this housing will output 180RPM. 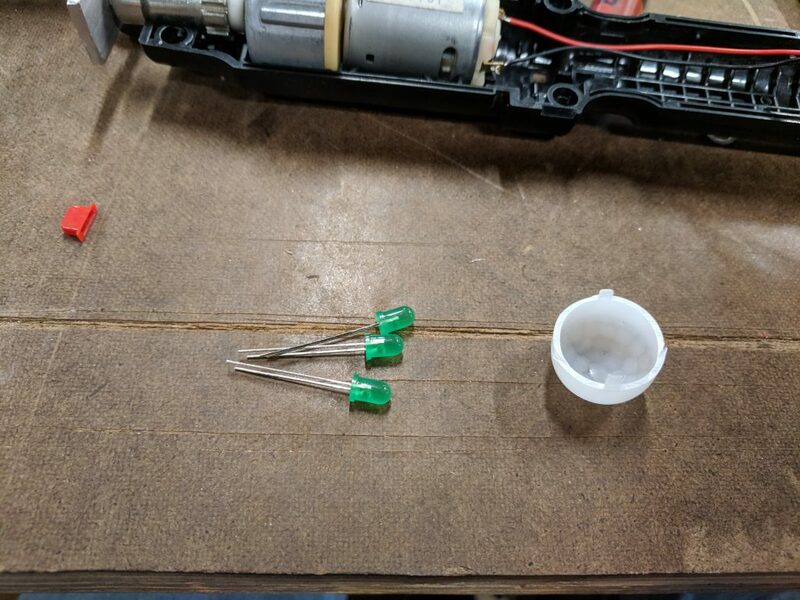 I’m not super confident about the engineering behind this but I reckon that means that in reverse, if I spin the motor at 180RPM (3 per second) it’ll output around 3.6V – possibly less due to energy loss and other stuff I’m not sure about. That’s enough to power an LED! In the previous iteration of this project the handle was one of the toughest parts to think through. I have no idea how to create a freely-rotating handle perpendicular to a rotating armature from scratch. Yet, once again the junk shelf comes to the rescue! 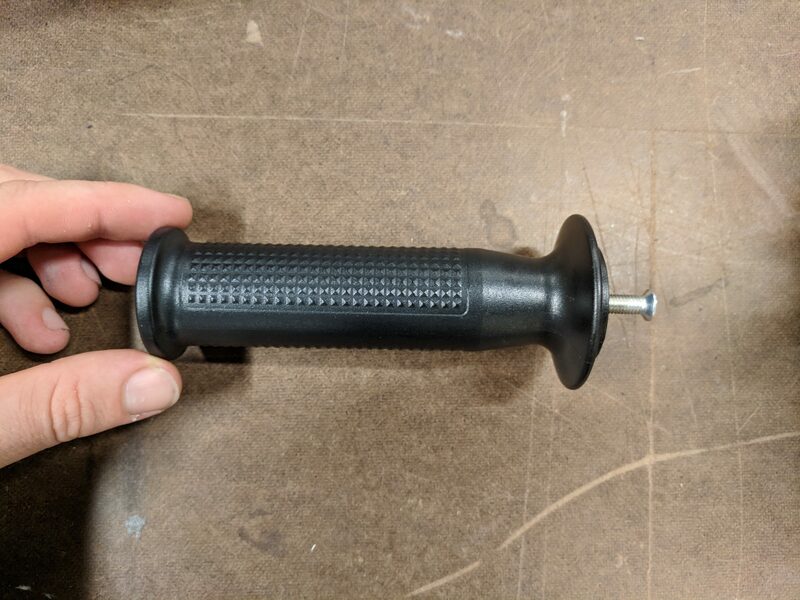 A tool that I can only imagine is for grabbing pipes? This strangely discarded device looked like it had the potential to act as a freely-rotating handle. Fantastic! 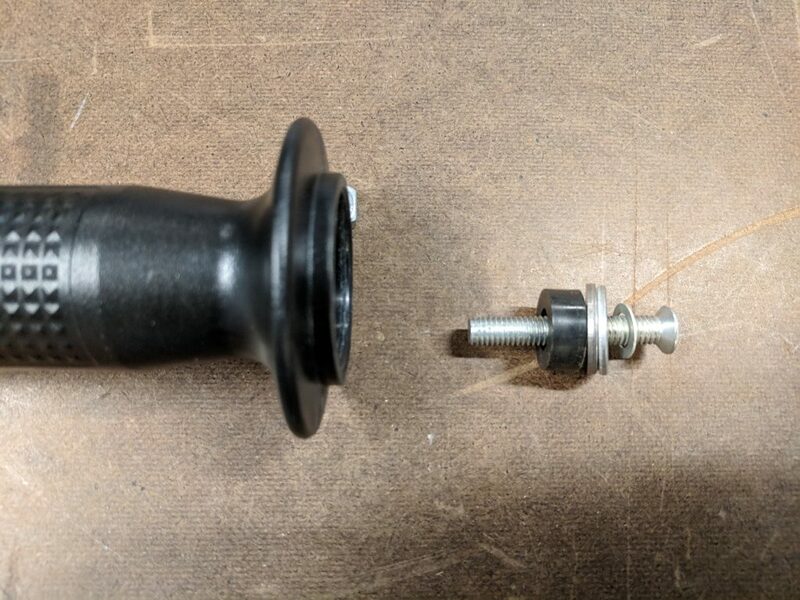 There’s a standard bolt (machine screw?) in there under the strange pipe-grippy thing. 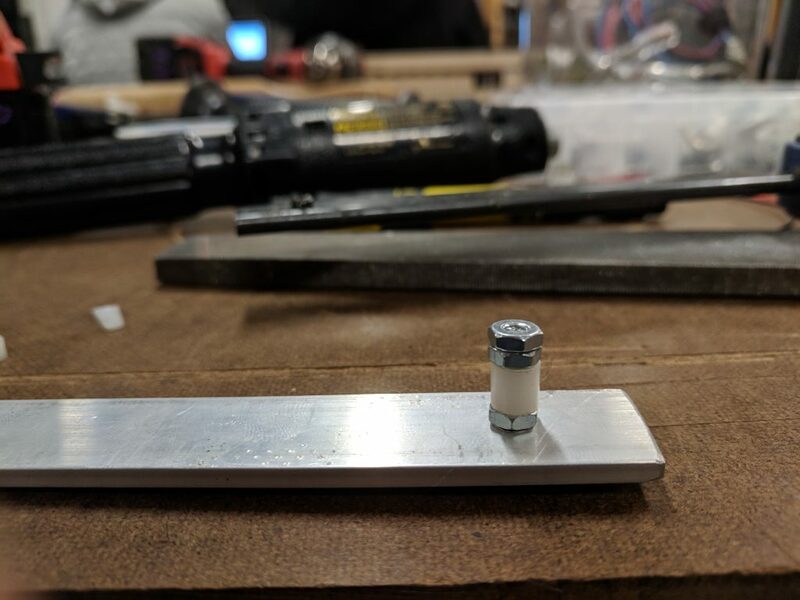 I am not sure what non-metric size that is, but I found a similarly sized but shorter bolt in the assorted-nuts-‘n-bolts tray on the ITP floor. My hand is in frame to stop the handle rolling away. Nothing is flat. This is perhaps where I take liberties on my self-imposed ‘recycled’ constraint. I had a bar of aluminium left over from a previous project, but I had gone out and purchased that at some point. Nevertheless I am counting it as recycled. 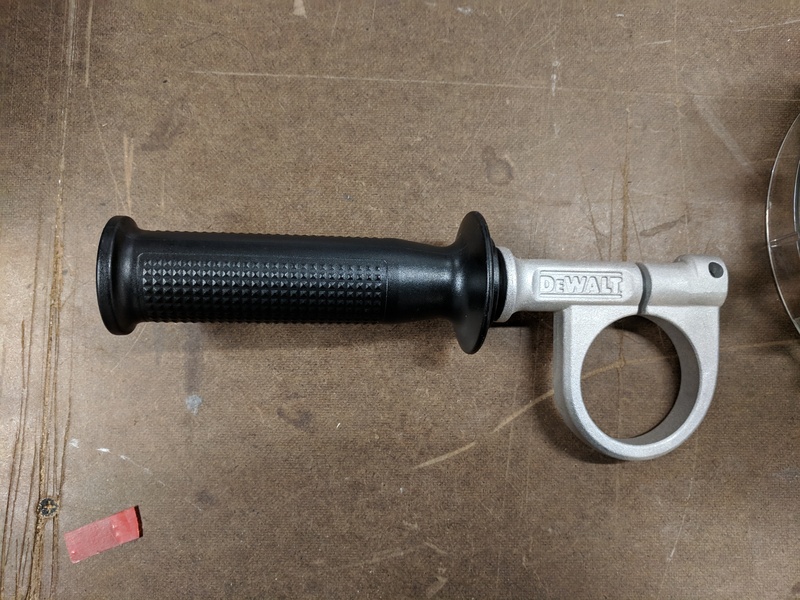 I knew I was going to try use the aluminium bar as the crank arm, and I had a good idea of how I would attach the handle to the arm (above). 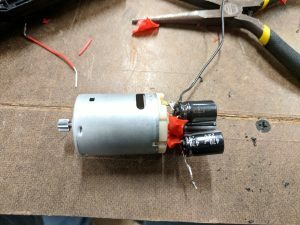 I still needed to figure out how to attach the crank to the motor, though. Fortunately, the benevolent assorted-nuts-‘n-bolts tray stepped up to the challenge. After a lot of digging and what I’m sure will end up as a tetanus infection, I found three nuts (and a short plastic tube thing not pictured) that directly fit the hex opening of the former screwdriver. The alignment of the nuts is slightly off here; explanation below. After attaching the arm to the motor, I turned attention to attaching the handle to the arm. 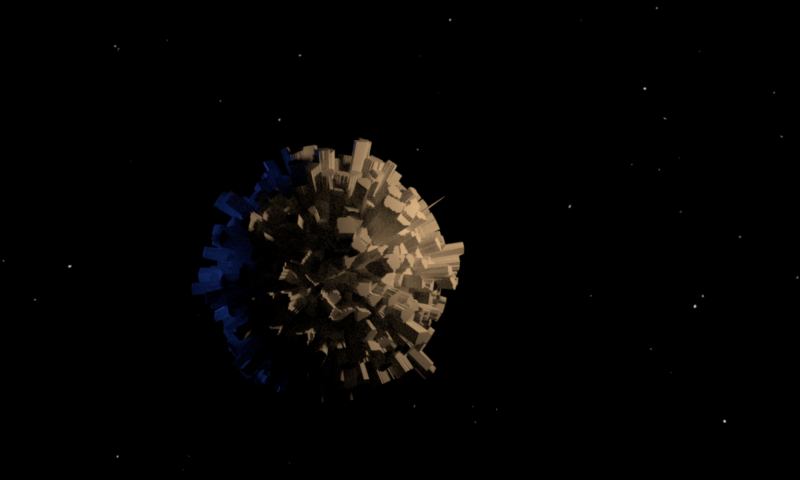 This was a simpler process but required a little bit of trial-and-error. 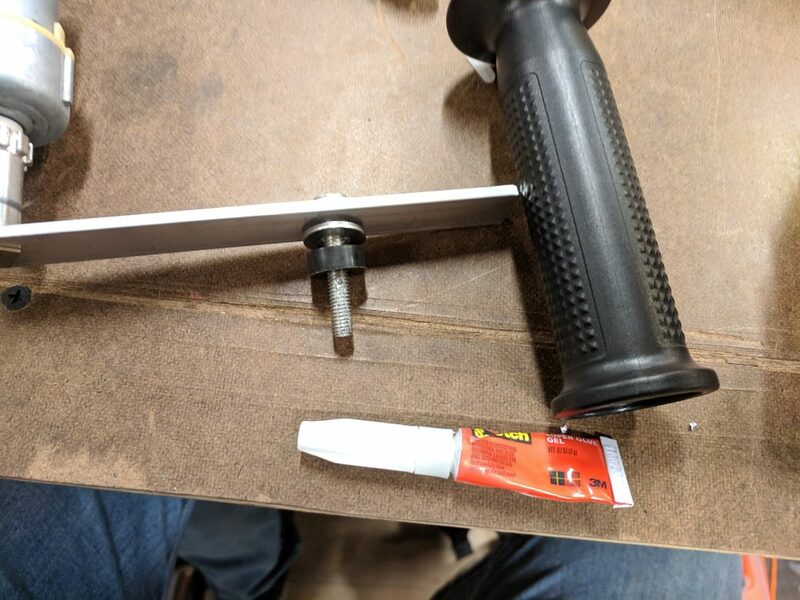 I first drilled a hole at the end of the bar, about 4 or 5 inches from the motor. When I tested that, it felt far too wide; the circle of the crank motion was too large. 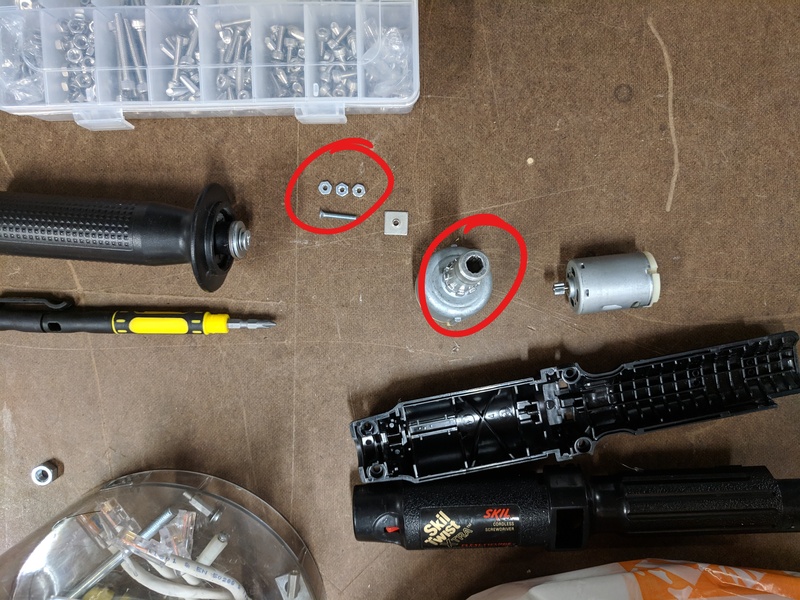 I drilled holes progressively further inwards, until I found a place that felt more natural as a crank motion. 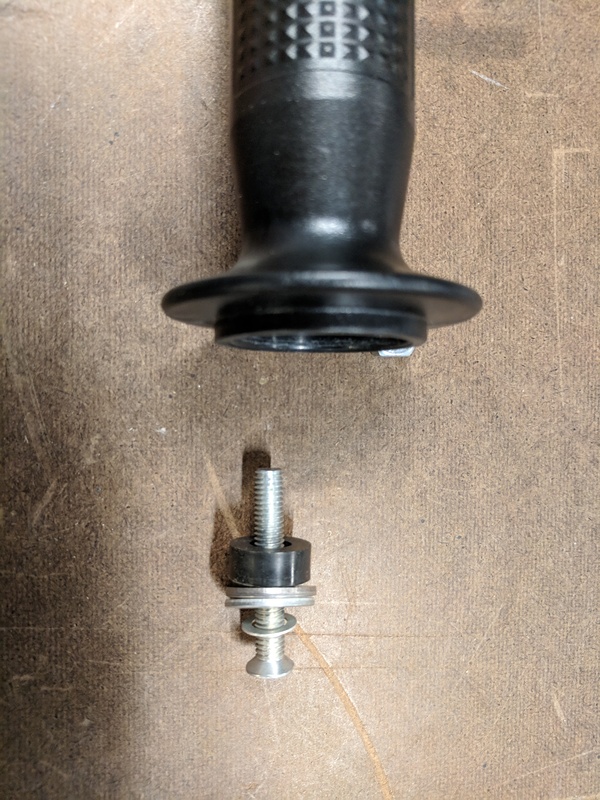 Once I found the final location for the handle, I secured the handle to its bolt with superglue. It’s not impossible to remove, but it helps prevent the handle from unscrewing itself as you crank it. Finally, I was in a place to test my theory. Although I knew that the motor worked (I tested it), I could not test whether it worked in reverse until now, as the torque required to turn it was too much without the handle. 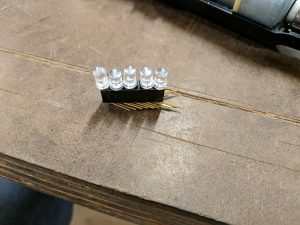 I wired up an LED; lo and behold spinning the motor lights it up! But the more I played around with the hand crank (it was fun!) the more I realised that having the light come out of that end felt weird, and you’d have to hold the tube at an odd angle to both spin it and get the light. I revised my plan to a strip of LEDs embedded “parallel” to the tube of the former screwdriver. To embed the LED strip I needed to create an opening in the handle. 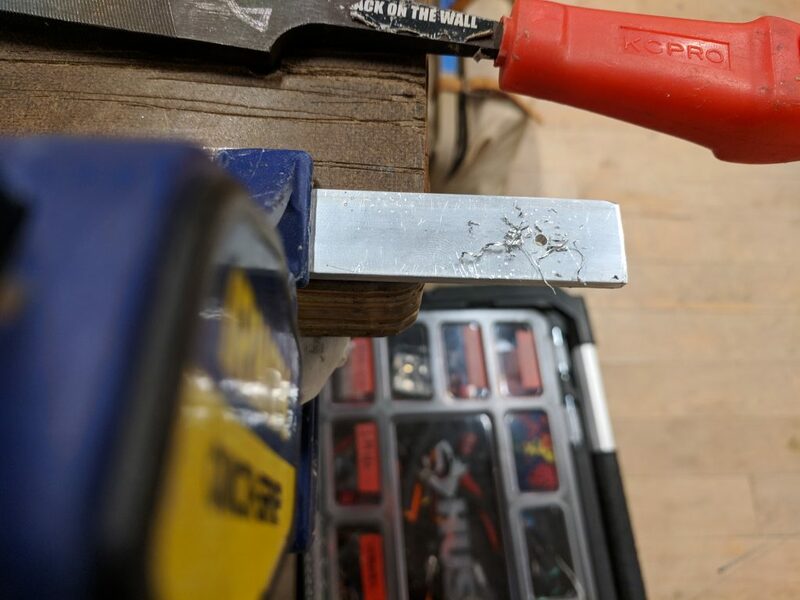 I wasn’t sure the best way to do that, but I found that drilling a hole, using the saw feature of my multitool to cut, then filing down the edges worked fine. As it currently stands, the flashlight works. 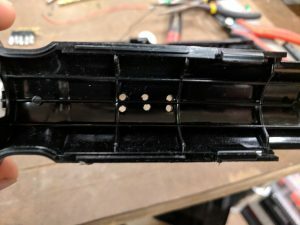 The next step is to find a way to clean up the LEDs – I don’t like having them simply poke out of a cut hole in the side. I would also like to be able to diffuse the light a bit. I am not sure of the best way to do this yet, but I will be monitoring the junk shelf for inspiration. That said, my goal was to create a portable, human-powered flashlight entirely out of found and recycled materials. In that, I believe I have succeeded. Great work and nice documentation. I’m glad you used the junk shelf to the fullest. Sometimes you can find exactly what you need. 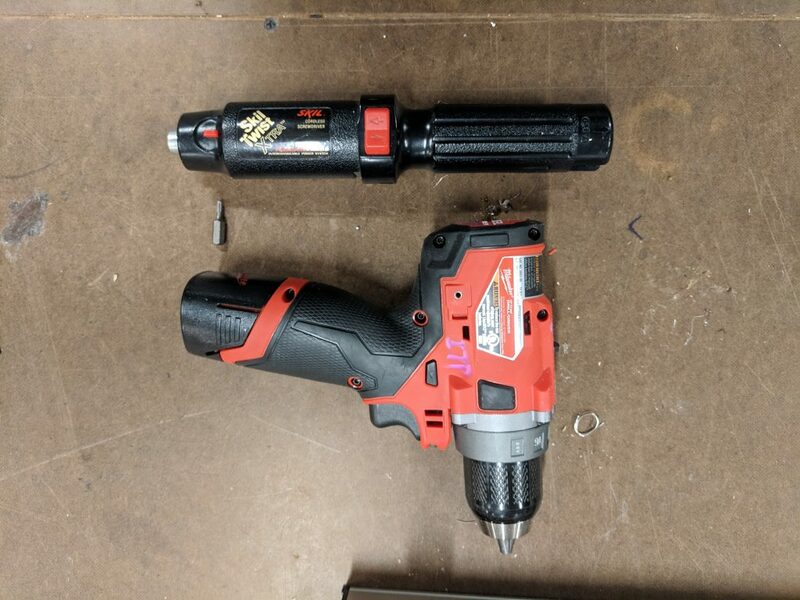 Nice work repurposing the powered screwdriver, the gearing inside made this project work very smoothly.